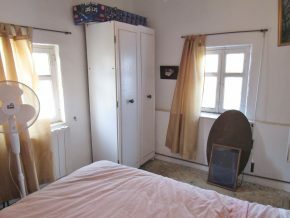 This detached country house on two floors has been abandoned for a number of years, and needs a little attention, but nothing more than a good clean, paint and the odd repair, and possibly an update in the bathroom. 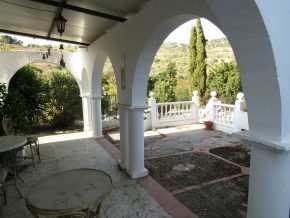 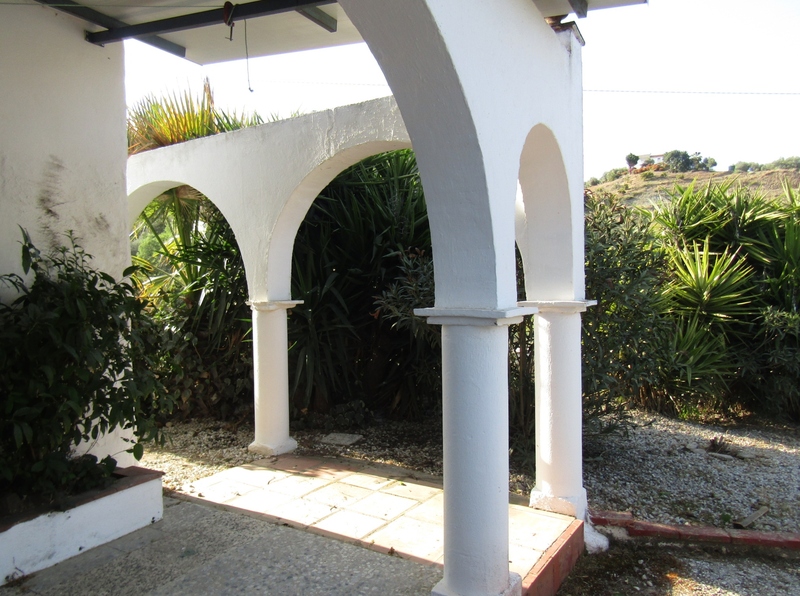 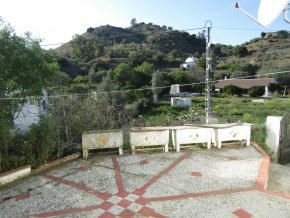 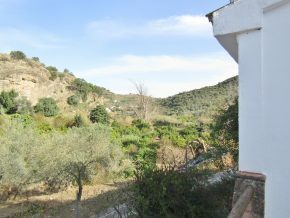 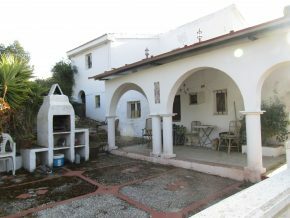 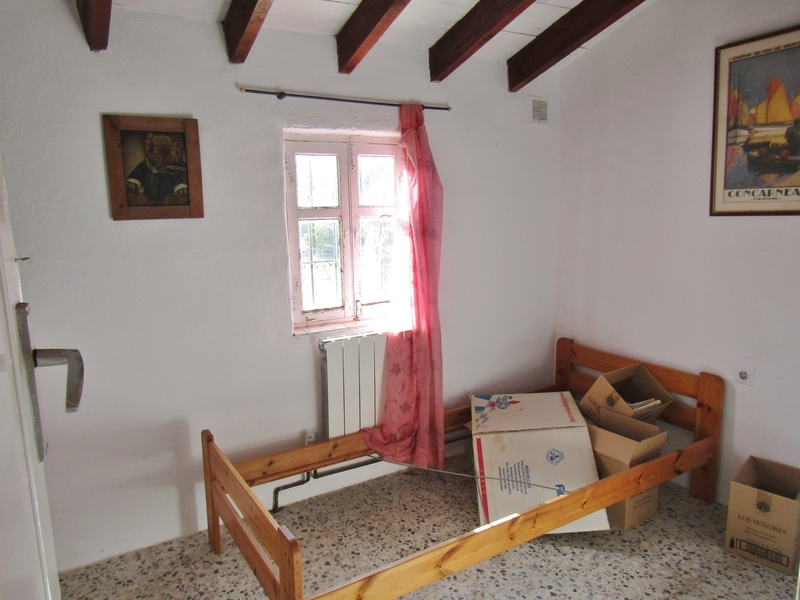 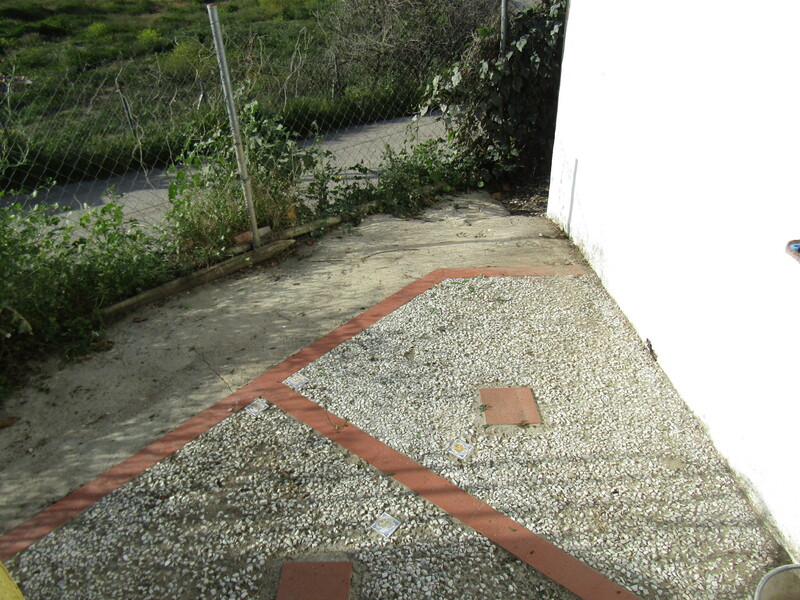 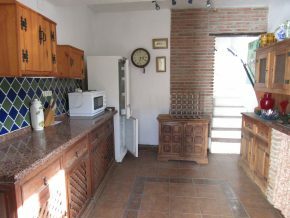 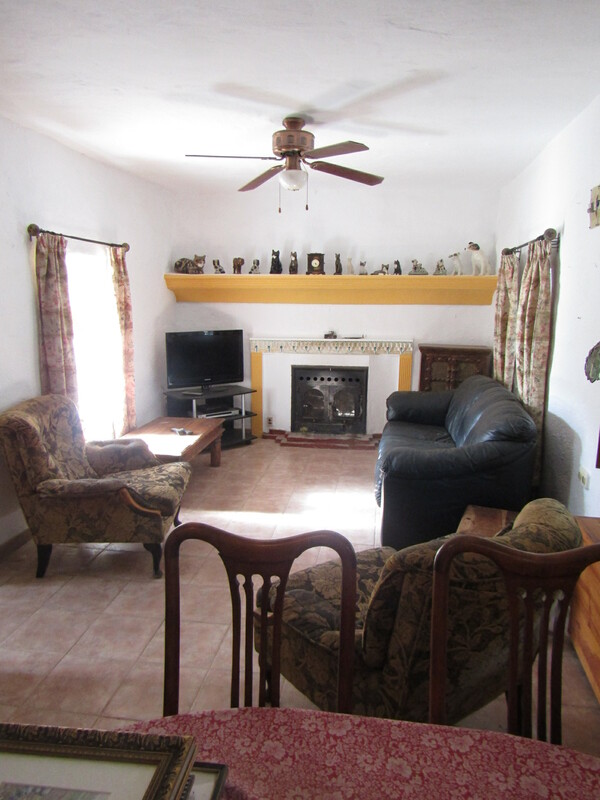 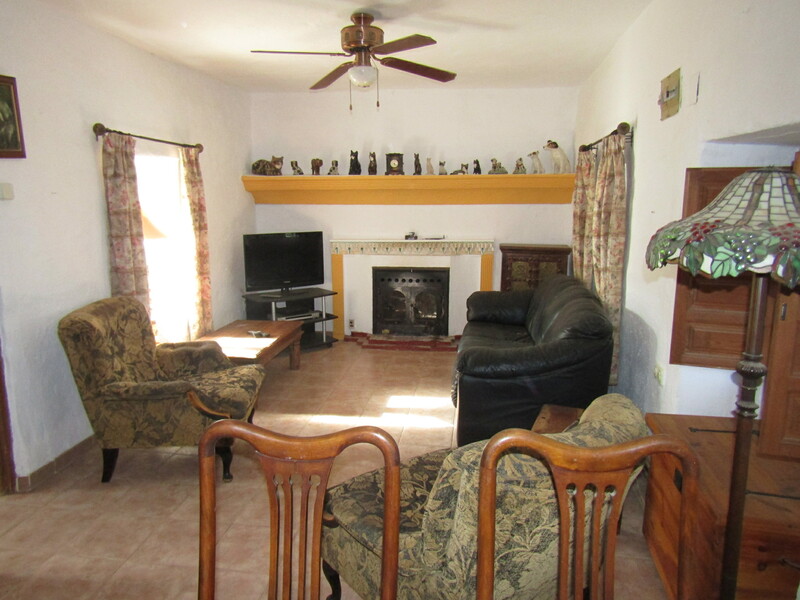 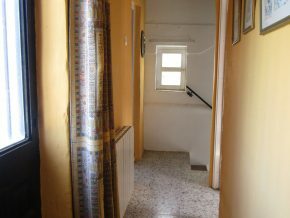 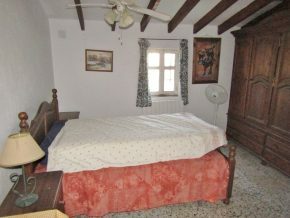 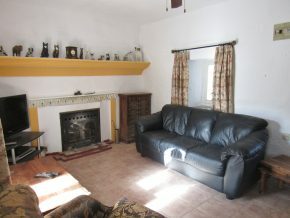 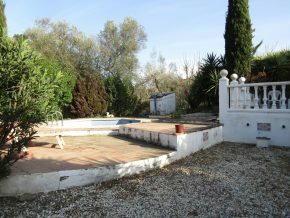 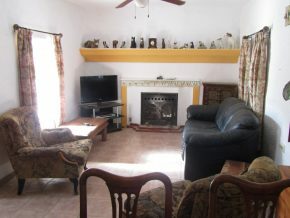 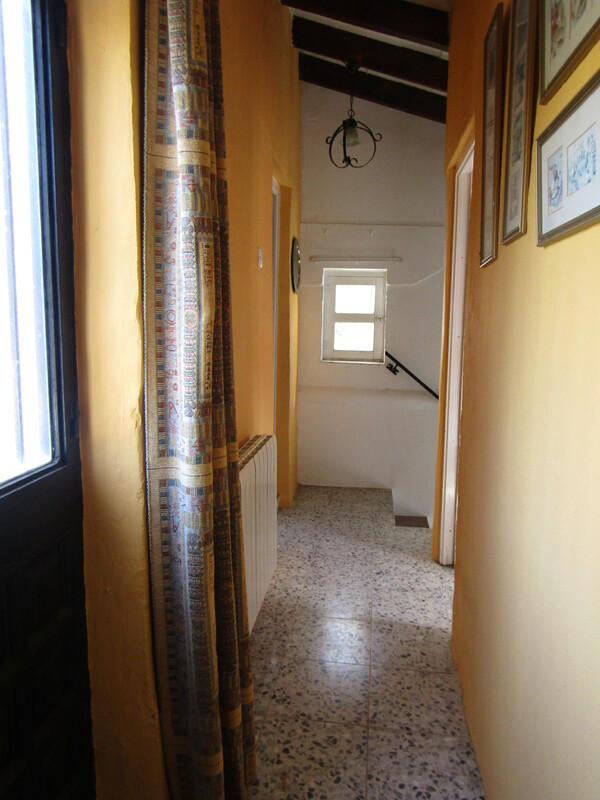 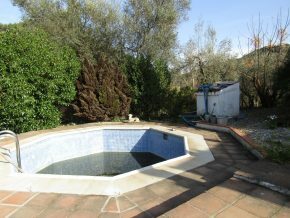 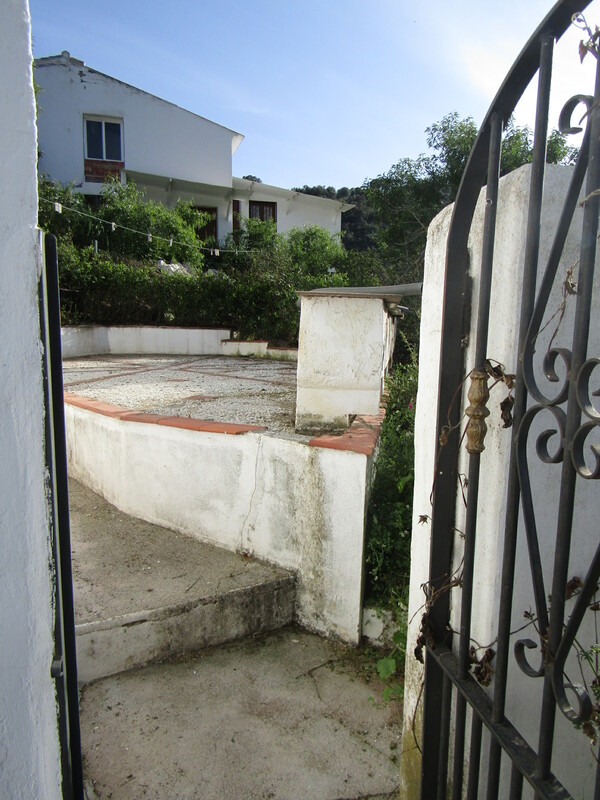 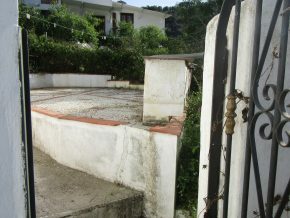 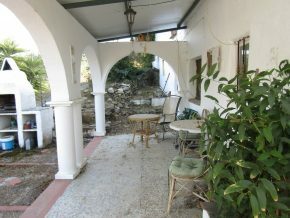 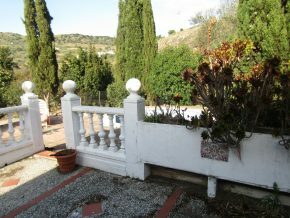 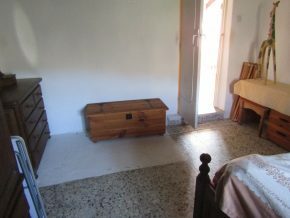 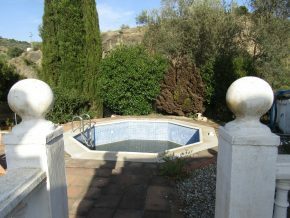 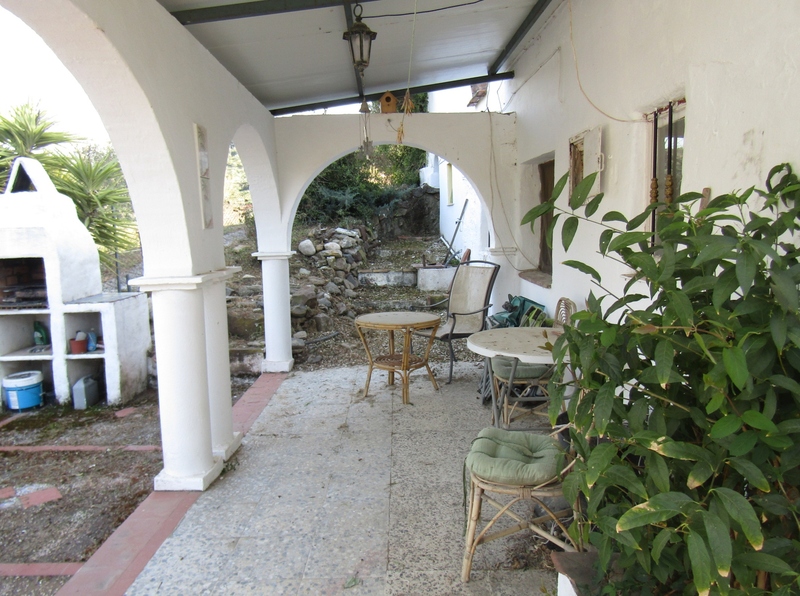 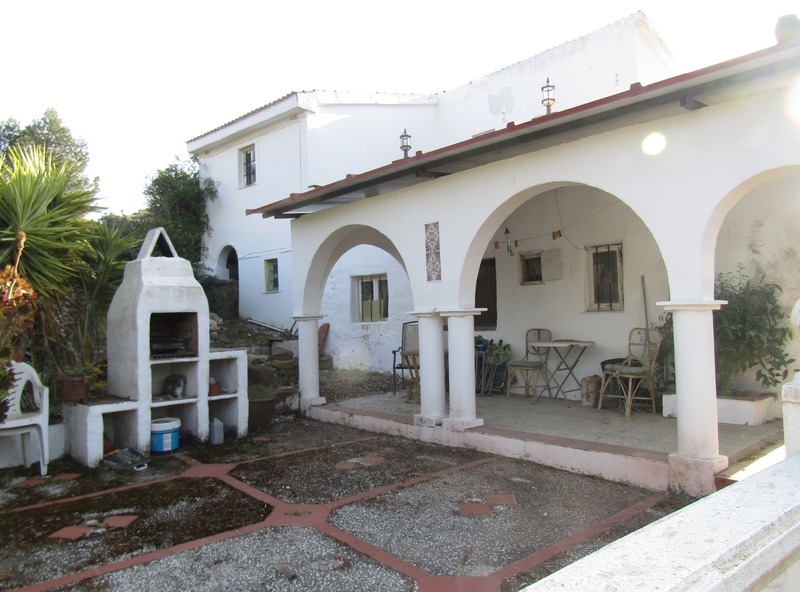 It offers an opportunity to acquire a good country home in a lovely location at a very attractive price. 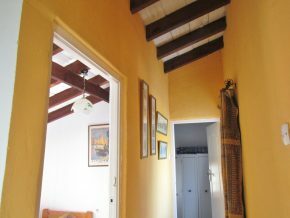 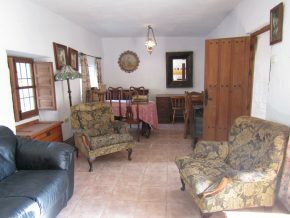 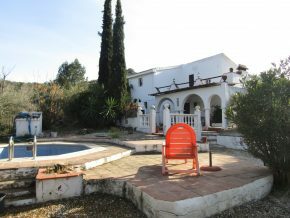 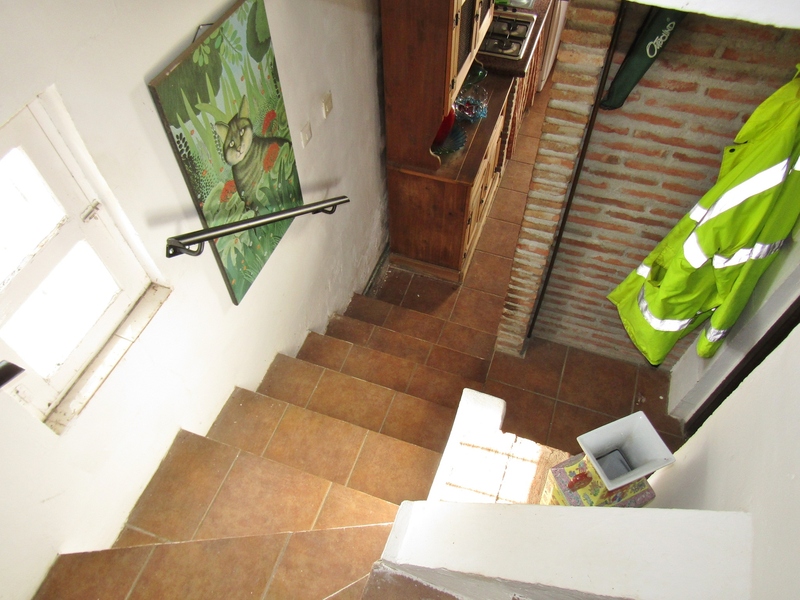 Set in the lush river valley of Cuevas de Comares, with access directly from an asphalt country lane, this house is within 15 minutes of three villages, with plenty of lovely country walks from the property. 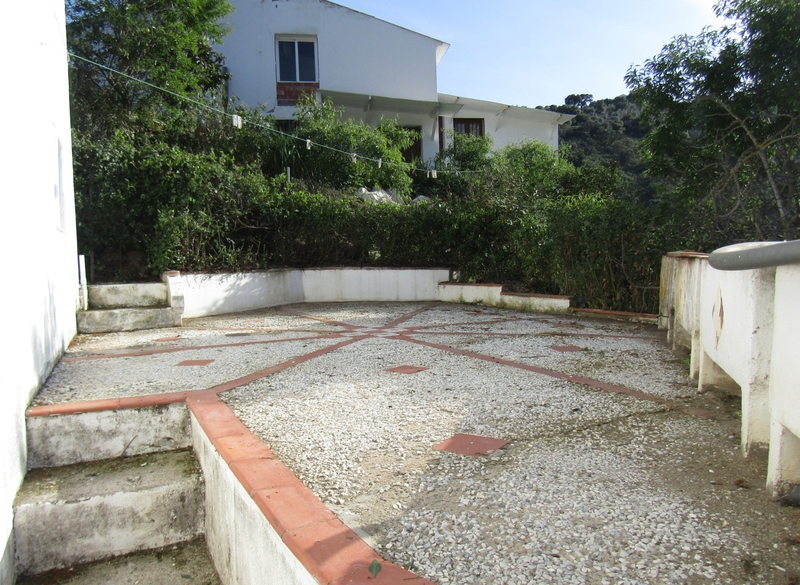 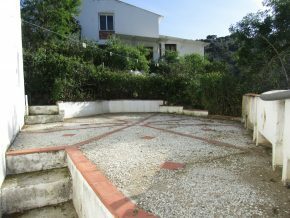 The garden plot is 656 square metres, with terraces, a hexagonal in-ground pool, and an arched covered terrace. 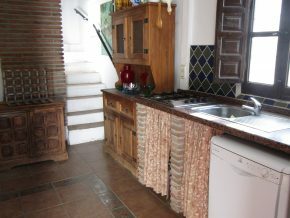 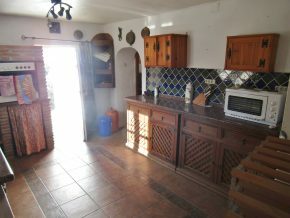 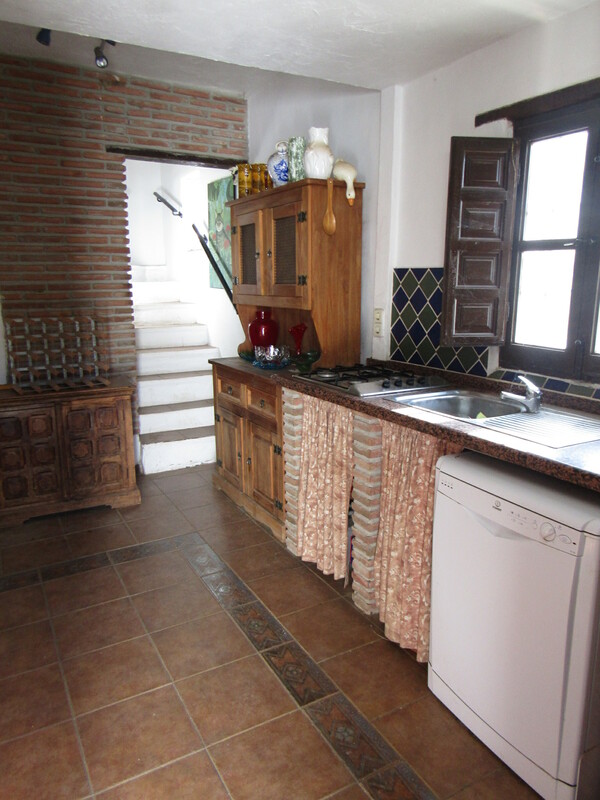 The front door leads into a good sized kitchen with wooden units. 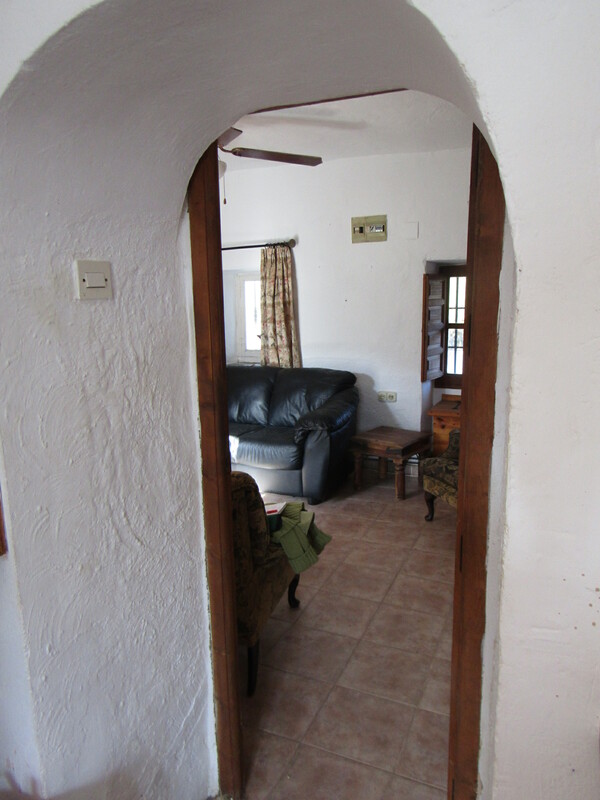 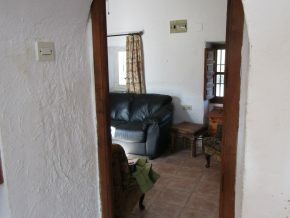 To the left, an arch through the very thick wall leads into a spacious living room (with woodburner) and dining room area. 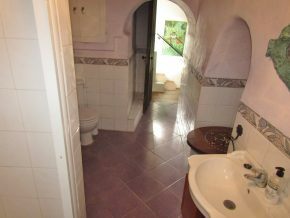 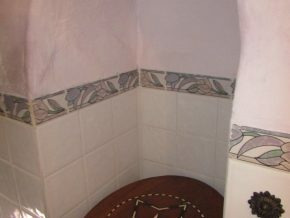 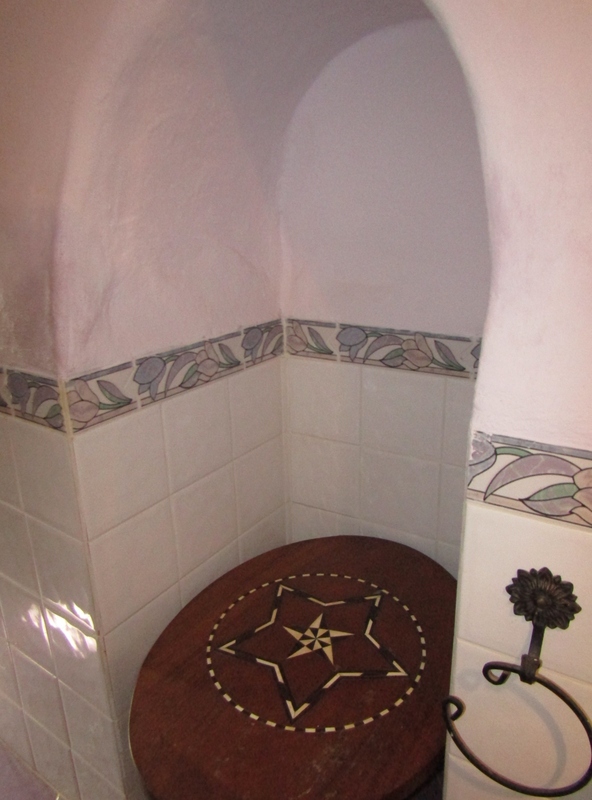 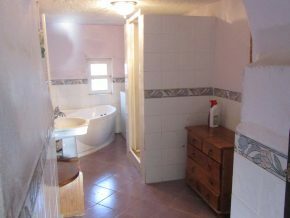 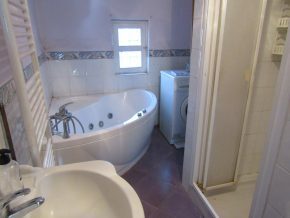 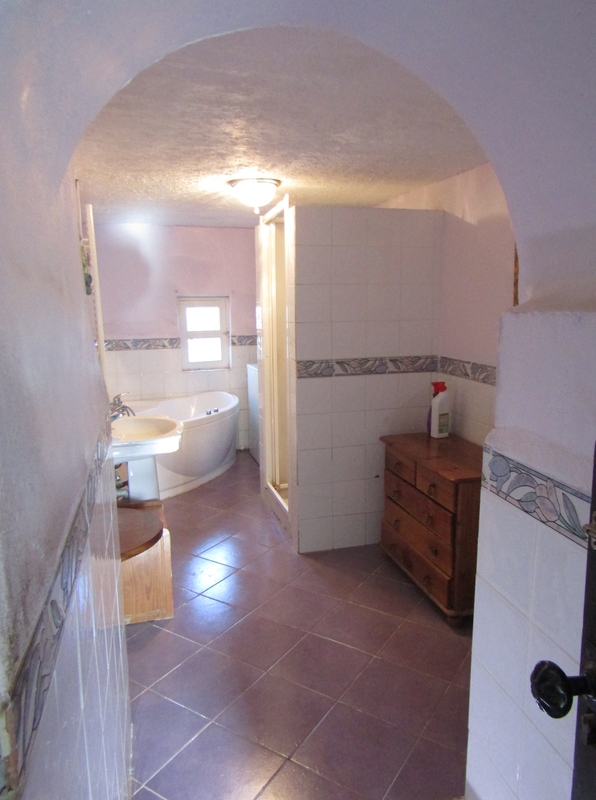 To the rear of the kitchen is access to the large, and very unusual bathroom with a jacuzzi bath and separate shower unit, plus interesting alcove in the thick wall. 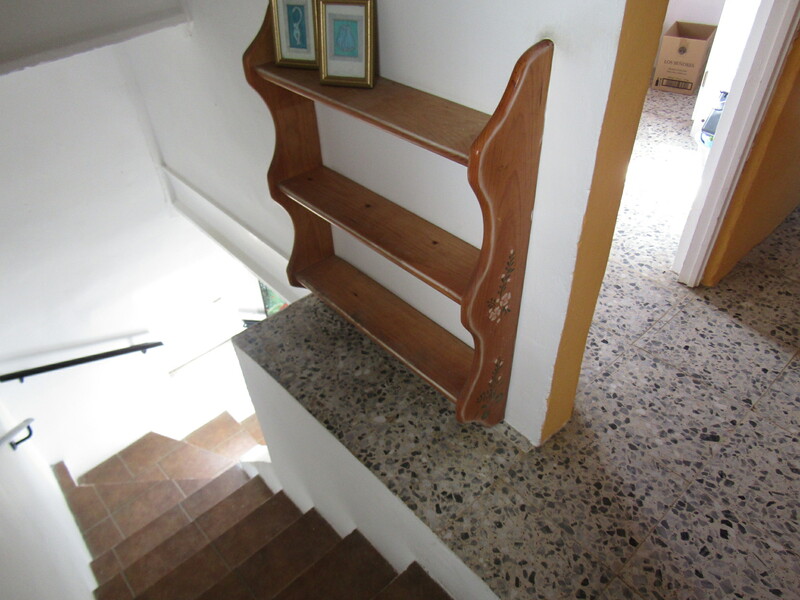 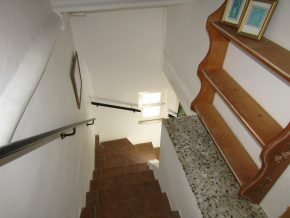 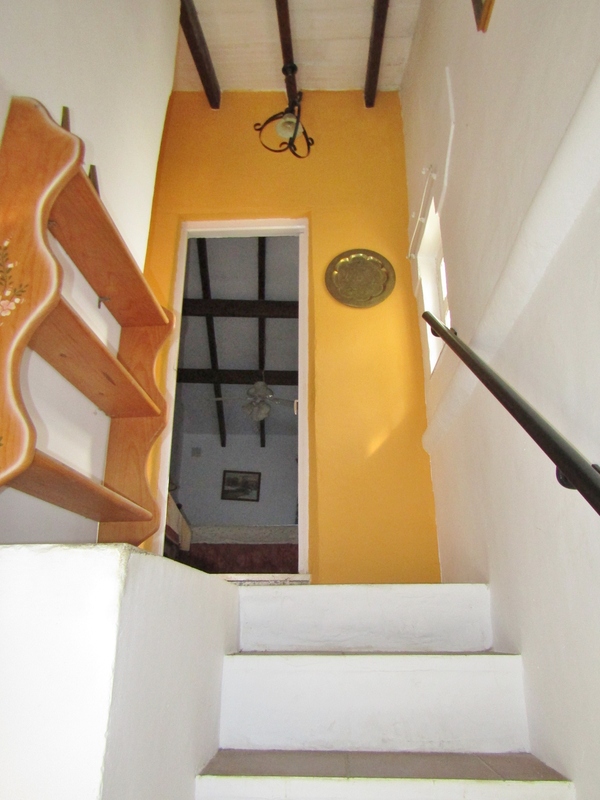 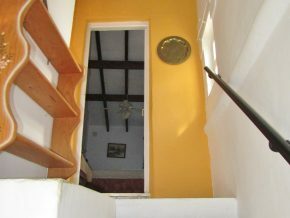 The stairs lead up to three double bedrooms and a terrace overlooking the garden and countryside. 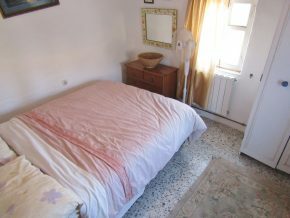 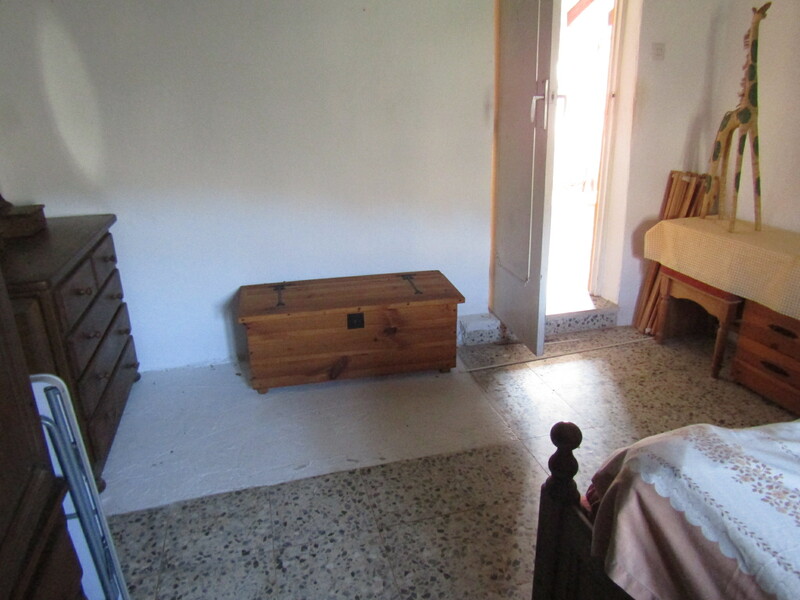 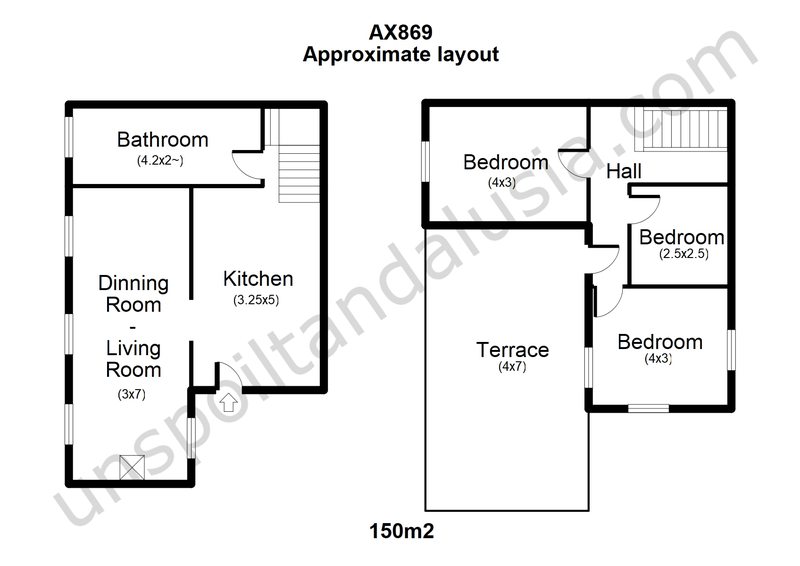 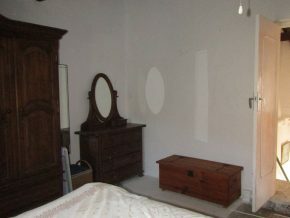 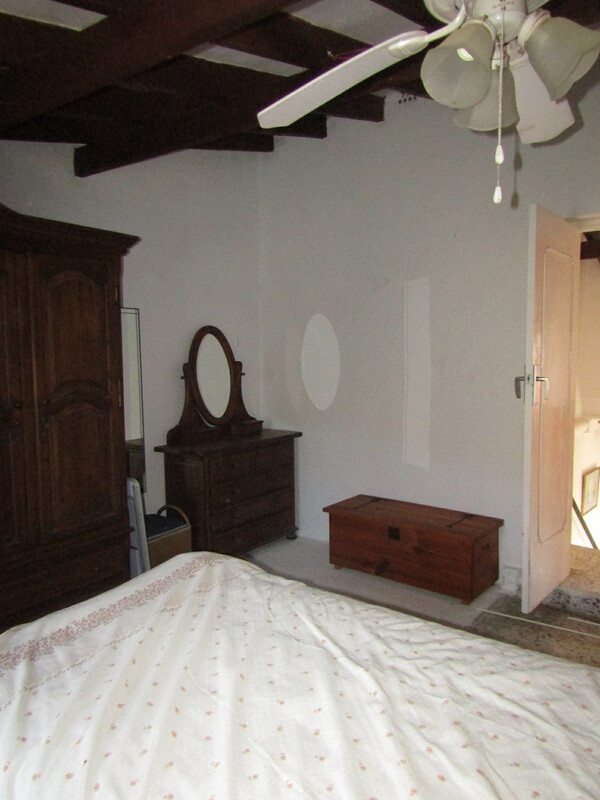 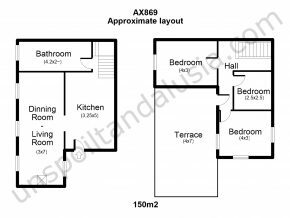 One of the double bedrooms is large enough to fit a small ensuite shower room, if required. 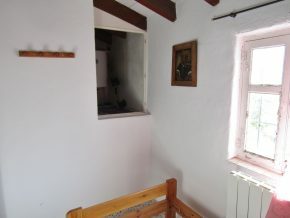 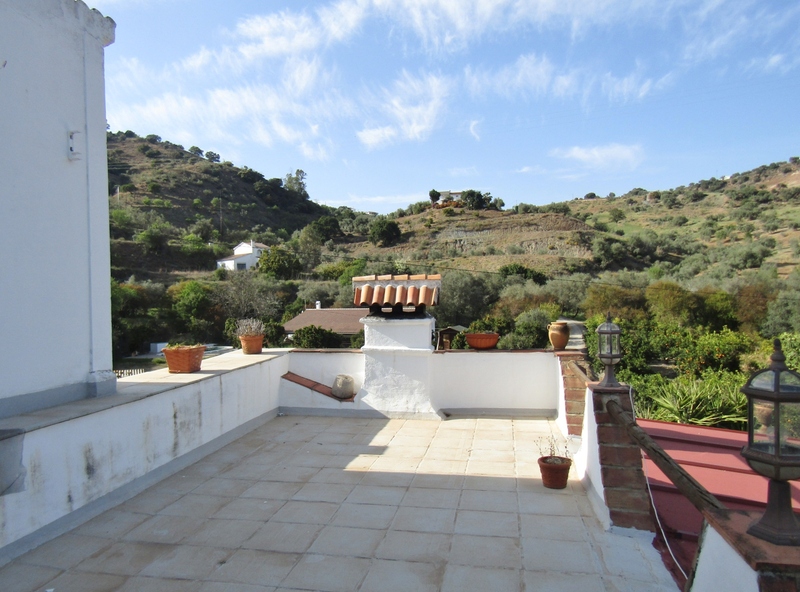 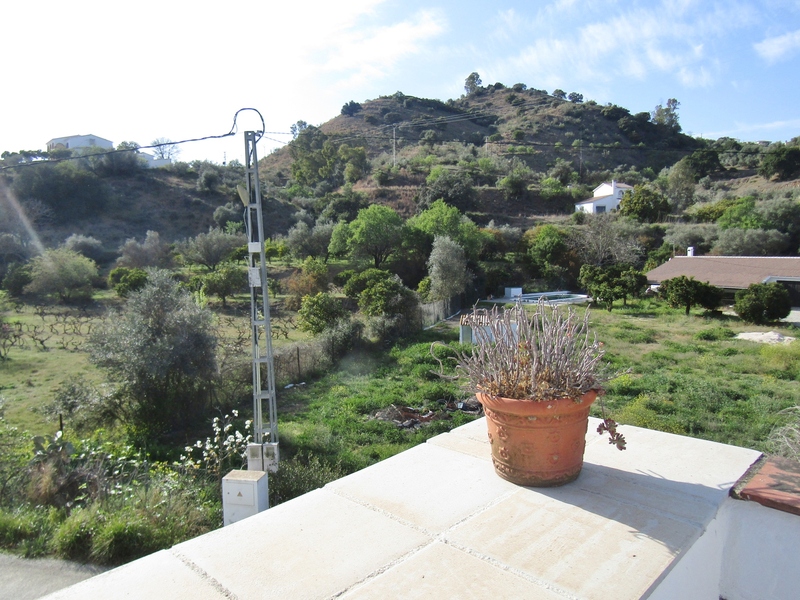 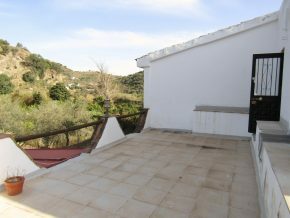 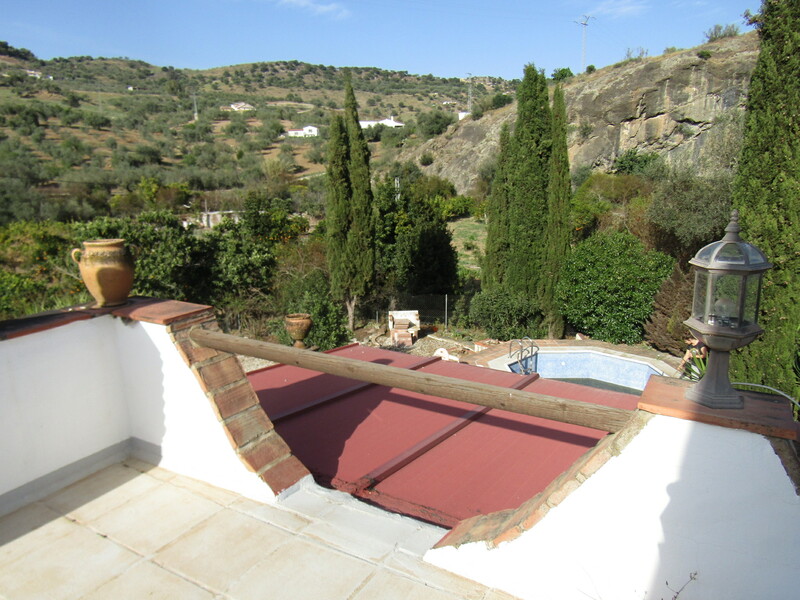 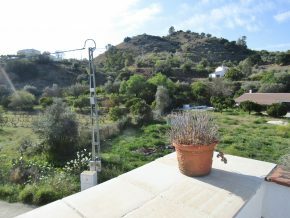 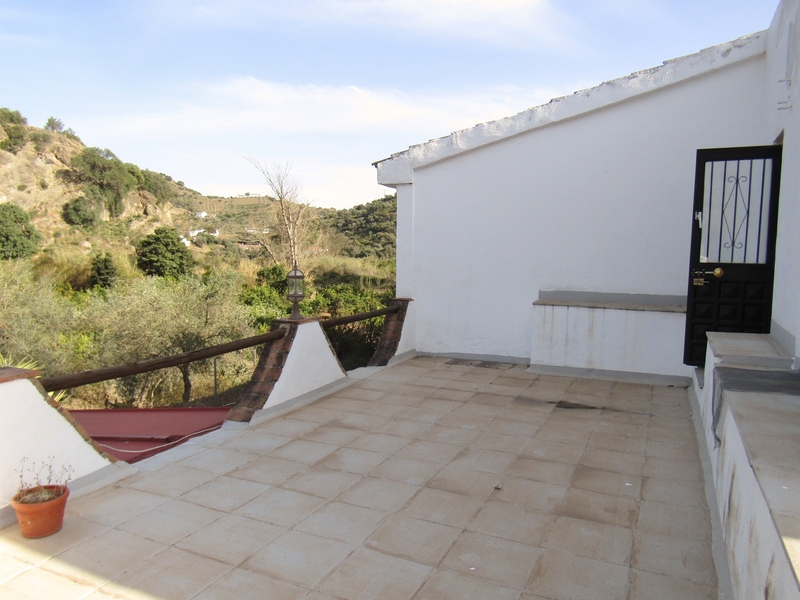 Also accessed from upstairs is the roof terrace with lovely views over the countryside.